On Friday, Pyeongchang Olympic Stadium welcomed the world as the 2018 Winter Olympics officially kicked off with the Opening Ceremony. Ice dance stars Tessa Virtue and Scott Moir carried the Canadian flag and led the parade of Canadian athletes around the stadium. 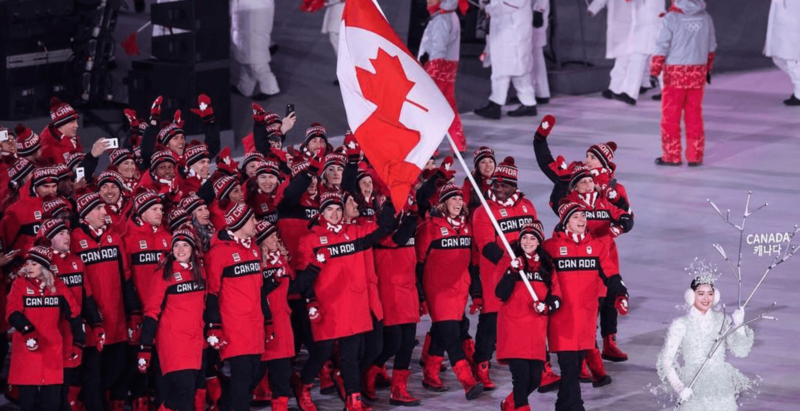 A sea of red and white flooded the stadium, as Canadian athletes looked proud and excited to be representing the ‘True North Strong and Free’ in what could be one of the best Olympic games for Canada yet. Here’s a look at Canada’s incredible athletes at the Pyeongchang Opening Ceremony.